According to plate tectonics, the Earth’s crust is comprised of over a dozen rigid slabs, or plates. As these plates move over the Earth’s fluid mantle, they interact with each other, forming plate boundaries or zones. Areas where plates are colliding form convergent boundaries, and areas where plates are expanding create divergent boundaries. Rift valleys are formed by divergent boundaries that involve continental plates. Oceanic divergent boundaries create what are known as mid-ocean ridges, such as the Mid-Atlantic Ridge. Rising convection currents in the athenosphere press upward on the thin oceanic plates, causes the plates to bulge upwards. As these currents reach the plates, they also spread outward, pulling the plates apart. As the plates are stretched thin by the upward and outward forces, they fracture. These fractures are quickly filled by solidifying magma and the process begins again. This process produces sub-surface mountain ranges, fissure eruptions, shallow earthquakes, new seafloor and a widening of the ocean basin. This divergent process is characterized by slow and steady expansion, approximately 2.5cm a year. Continental plates are much thicker than oceanic plates. The force produced by upward currents in these divergent boundaries is not strong enough to create a single break through the entire plate. Instead, the plate bulges upward as it is stretched and fault lines develop on each side of the crest. When these faults fracture, intense earthquakes are produced and the center block drops, forming a rift-like structure. This continental divergent process is much choppier than the smoother oceanic divergence, and is characterized by more sudden, irregular and intense shifts in the rift structure. Early in the development of a rift valley, the descending block remains above sea level. Streams and rivers slowly feed into the developing rift, forming long, linear lakes. In later stages, the floor of the rift valley finally drops below sea level, producing a new sea. While this sea will initially be both shallow and narrow, if the divergence continues long enough (hundreds of millions of years), a new ocean basin will be formed. The East Africa Rift Valley is an example of a very young divergent boundary. Here, the valley is still above sea level, but several lakes have formed. This boundary zone will continue to rift until the valley floor has dropped below sea level. The Red Sea is an example of a mature rift valley. Having fully formed, the floor of the rift has dropped below sea level. 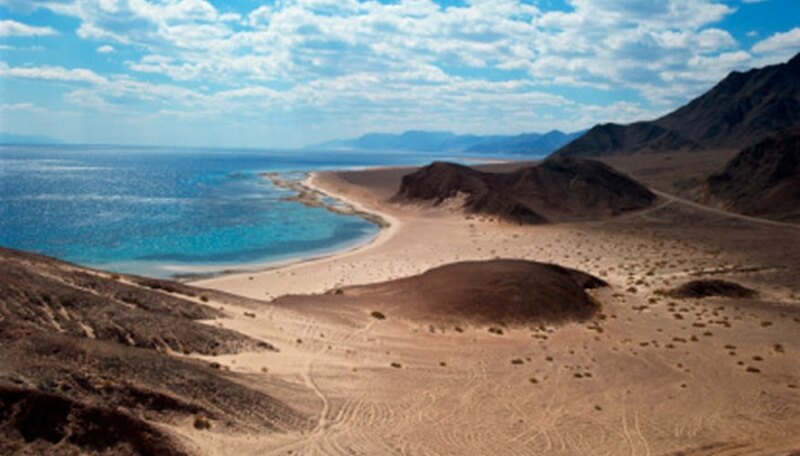 The Red Sea will continue to slowly expand, widening into a new oceanic basin. These two rifts are actually connected, being part of what is known as a triple junction. 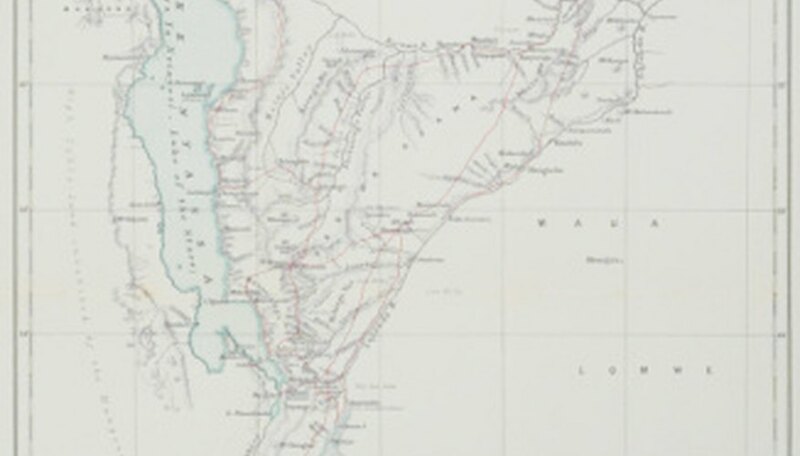 This is a location where three plates are pulling away from each other, in this case, the Arabian Plate and the two parts of the African Plate, the Nubian and Somalian. Eventually, the Horn of Africa will be completely separated from the rest of the African continent, just as Saudi Arabia was torn away from Africa at the Red Sea rift. Bennett, Doug. "What Type of Plate Boundary Is Associated With Rift Valleys?" Sciencing, https://sciencing.com/type-boundary-associated-rift-valleys-8222573.html. 24 April 2017.